Despite his relaxed, detached air, Shaun Martin is a musician with an admirable power of concentration, especially when all his classical studies and all his jazz auditions have merged into a heavy musical production. 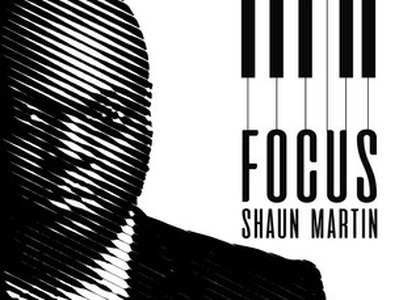 From Snarky Puppy to solo albums, Shaun Martin fascinated us through grace, versatility and groove, using the piano clipboard to express all the possible emotions in diverse and well defined styles. "Focus" means classic jazz, more specifically the piano at the roots of the trio formula, as a revival with the first impulse to give a voice to the piano clipboard. That's why we can feel the influences of Bill Evans and Oscar Peterson on this relaxing set of familiar, but highly personalized sounds. A good opportunity to follow arts in order to return to the purity of instruments and musical authenticity. If it were not the sound that is sending us to a current production, we could easily say that we are listening to one of the trio jewelry of the 1950s and 1960s, where every idea comes from the roots, clean and without fear of mistakes, such as sincere and courageous thoughts. Shaun Martin shines and has fun, wherever he appears, something that's making him special and unique.